Storage Boxes feature medium-duty construction for moderate stacking needs in rooms with or without shelving units. Quick and easy set up. 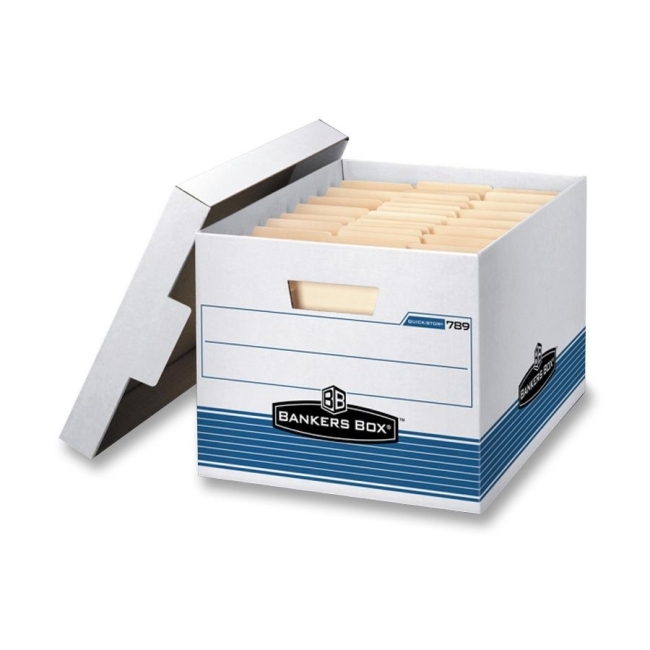 Each box holds letter-size or legal-size files. The 35 percent deeper lift-off lid locks into place for high-security storage you can trust. Smooth rolled box edges add strength and help prevent paper cuts. Average amount of evenly distributed weight that can be safely stacked on top of box is 550 lb.